At the 2018 AGM held December 19th in Chicago, World Championship hosting applications were accepted and granted for 2020 and 2021. 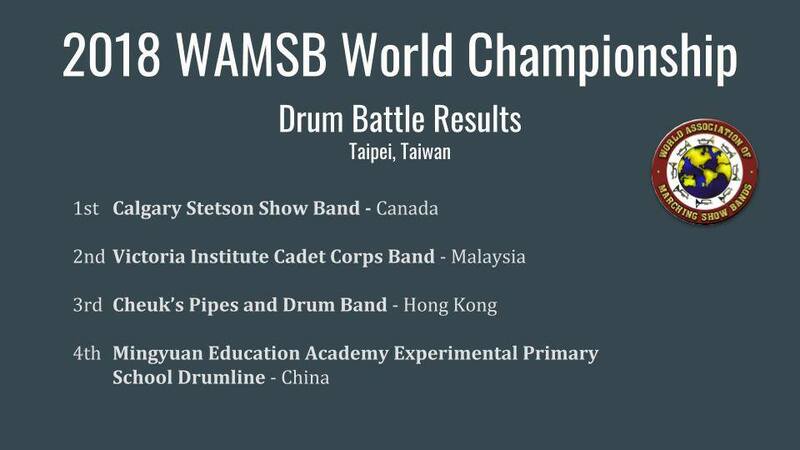 Congratulations to the host affiliates! Applications for 2022 and beyond are currently being accepted. Watch this website for application information for these championship events. Congratulations to the host city, Taipei and all the participants of this year’s World Championships. It was a fantastic event. Check out our Facebook page for many photos and videos from the competition. 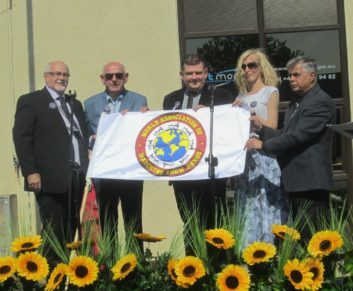 Poland WAMSB event a great success! 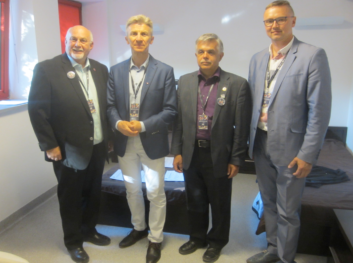 (above) Flag ceremony (below) Jury Members for Alte Kameraden Band Festival in Gorzów Wielkopolski, Poland on May 19/20, 2018: (l-r) Mike Townsend, CA – Pawel Joks, PL – Hans-Dieter Buschau, DE – Konrad Borycki, PL — Hans-Dieter Buschau, WAMSB International Board Member for Germany & Europe, was also the Supervising Judge while Mike Townsend, WAMSB International Vice President also acted in the capacity of WAMSB Event Official. 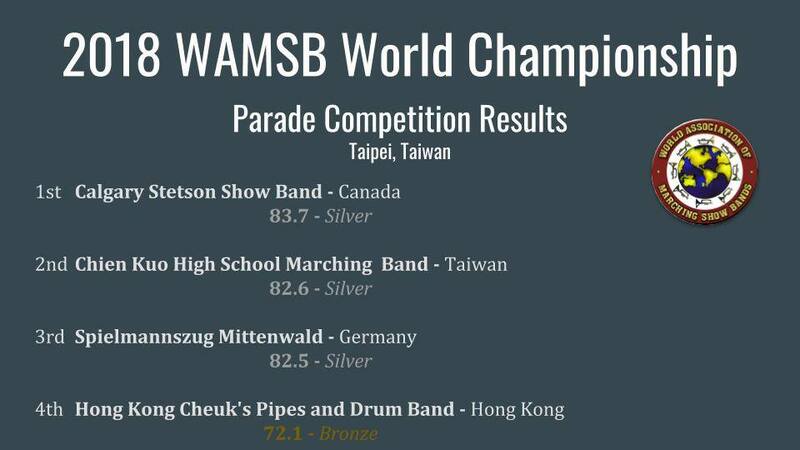 — The Jury was impressed with all of the band performances at the festival. Congratulations Alte Kameraden Band Festival. 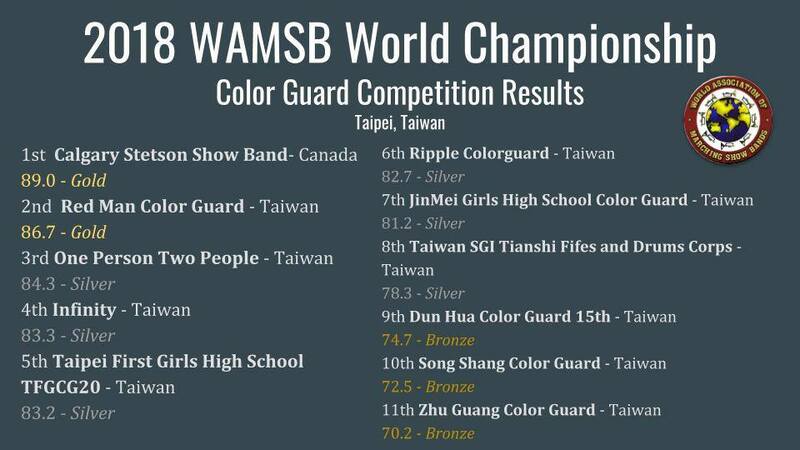 Official results are posted on the WAMSB event results webpage. The Music Festival “Alte Kamerden” (Old Comrades) will be held in accordance with the WAMSB Rules on May 19/20, 2018 in the city of Gorzów Wielkopolski. 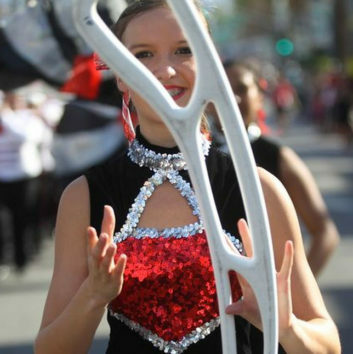 Competitions will include a march parade, show and concert event. We wish them great success, and thank director Hans-Dieter Buschau for his work in making it a reality. WAMSB is pleased to announce the sanction of the “6th German Festival of Music” in the city of Osnabrück, Germany from May 30-June 2, 2019. This event happens every 6 years, and often sees over 400 bands with more than 15,000 participants! Below is the official letter and invitation to WAMSB members. 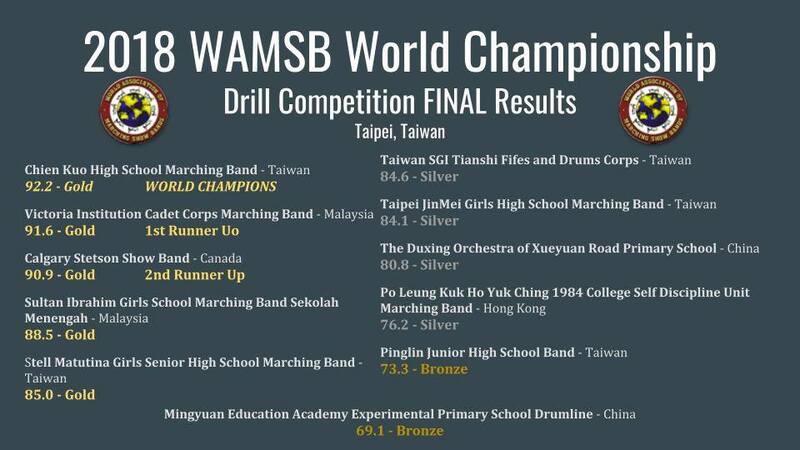 Participating bands may qualify for the 2020 or 2021 World Championships.